Are you looking for men's enhancing underwear? The the Ergowear X3D Bikini in Black with its ergonomic pouch will naturally enhance your manhood without any padding or rings. The X3D Collection from Ergowear features, briefs, bikinis, boxers, mini boxers and men’s thongs. Each style uses the innovative and enhancing X3D pouch design that will naturally give your manhood a boost. The name means extra three-dimensional. The pouch is designed to pull your manhood up and away from your legs but in a natural way that give you a naturally enhanced bulge but elasticated to accommodate your package comfortably. The collection features two different sets with different Microfiber mixes. The original X3D comes in a Polyamide Microfibre that feels soft and cool on the skin. Its hand made in Chile with a 80% Polyamide / 20% Elastane mix. The cut of the X3D Bikini in Black has an ultra low profile that is typical of a bikini cut with a super low-rise on the waist with a narrow concealed waistband. 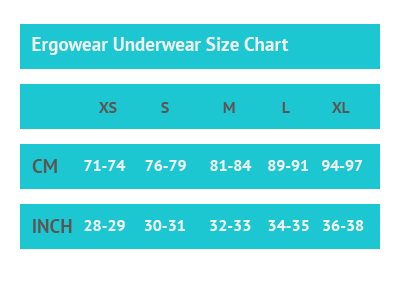 It has a high leg bikini cut that offers front and rear coverage and support whilst being suitable to wear under tight fitting jeans or trousers.